Join our email discussion list (10-20 emails per week with daily digest option; send a note to melrosepedbike@gmail.com to join). 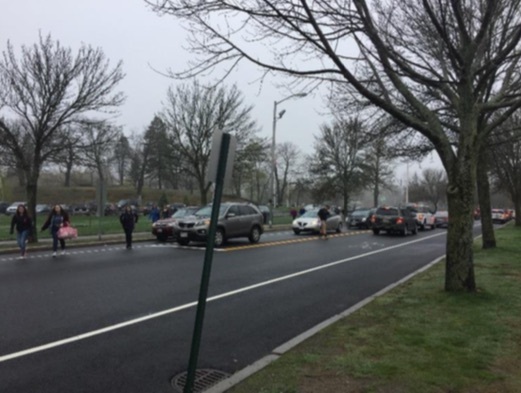 The Melrose Pedestrian & Bicycle Committee along with Mass in Motion, WatsonActive and WalkBoston got together to look at the mobility access around the high school and middle school area. Our findings were put together in this report. The Melrose Pedestrian & Bicycle Advisory Committee is pleased to present the final North-South Bicycle Network Plan. Have a larger problem that needs to be addressed? Such as a needed crosswalk or timing of a working light? Contact your Alderman. Not sure which ward or precinct you’re in? Here’s a street by street listing and here’s a map. Bike parking program expanding in Melrose. 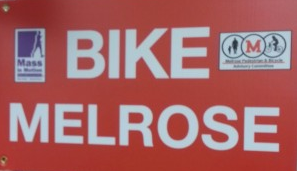 All the bike racks have been identified with a Bike Melrose sign – a campaign by the Mass in Motion program. Pedestrian Safety TipsMotorists need to watch out for pedestrians and pedestrians need to watch out for motorists. Motorists have more responsibility under the law. PEDESTRIANS HAVE MORE AT STAKE.In order to keep all road users safe, here are some tips to consider. Test your knowledge of Massachusetts bicycle laws. The Boston Police provide a handy video for anyone. Refresh your memory on the law of the road for bicycles and autumobiles. MassBike also has a handy Kids Flyer (PDF) which is a one page flyer providing helmet fit, bike safety checks, and rules of the road. 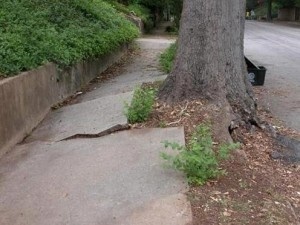 Make our roads and walkways safeDo you have a sidewalk or roadway repair reque st? For specific sidewalk or roadway repairs, pothole or general request for roadway repair? Click on this website and select the specific service you need. 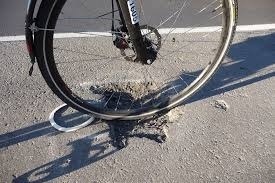 You can see the current list of potholes here.